Asai, T., Choi, J. H, Ikka, T., Fushimi, K., Abe, N., Tanaka, H., Yamakawa, Y., Kobori, H., Kiriiwa, Y., Motohashi, R., Deo, V. P., Asakawa, T., Kan, T., Morita, A., Kawagishi, H. (2015). Effect of 2-azahypoxanthine (AHX) produced by the fairy-ring-forming fungus on the growth and the grain yield of rice. JARQ 49(1),45-49. Choi, J. H., Ohnishi, T., Yamakawa, Y., Takeda, S., Sekiguchi, S., Maruyama, W., Yamashita, K., Suzuki, T., Morita, A., Ikka, T., Motohashi, R., Kiriiwa, Y., Tobina, H., Asai, T., Tokuyama, S., Hirai, H., Yasuda, N., Noguchi, K., Asakawa, T., Sugiyama, S., Kan, T. and Kawagishi, H. (2014). The source of "fairy rings": 2-azahypoxanthine and its metabolite found in a novel purine metabolic pathway in plants. Angew Chem Int Ed Engl 53(6): 1552-1555. Ma, G., Zhang, L., Matsuta, A., Matsutani, K., Yamawaki, K., Yahata, M., Wahyudi, A., Motohashi, R. and Kato, M. (2013). Enzymatic formation of beta-citraurin from beta-cryptoxanthin and Zeaxanthin by carotenoid cleavage dioxygenase4 in the flavedo of citrus fruit. Plant Physiol 163(2): 682-695. Motohashi, R., Rodiger, A., Agne, B., Baerenfaller, K. and Baginsky, S. (2012). Common and specific protein accumulation patterns in different albino/pale-green mutants reveals regulon organization at the proteome level. Plant Physiol 160(4): 2189-2201. Choi, J. H., Abe, N., Tanaka, H., Fushimi, K., Nishina, Y., Morita, A., Kiriiwa, Y., Motohashi, R., Hashizume, D., Koshino, H. and Kawagishi, H. (2010). Plant-growth regulator, imidazole-4-carboxamide, produced by the fairy ring forming fungus Lepista sordida. J Agric Food Chem 58(18): 9956-9959. Choi, J. H., Fushimi, K., Abe, N., Tanaka, H., Maeda, S., Morita, A., Hara, M., Motohashi, R., Matsunaga, J., Eguchi, Y., Ishigaki, N., Hashizume, D., Koshino, H. and Kawagishi, H. (2010). Disclosure of the "fairy" of fairy-ring-forming fungus Lepista sordida. Chembiochem 11(10): 1373-1377. Ichikawa, T., Nakazawa, M., Kawashima, M., Iizumi, H., Kuroda, H., Kondou, Y., Tsuhara, Y., Suzuki, K., Ishikawa, A., Seki, M., Fujita, M., Motohashi, R., Nagata, N., Takagi, T., Shinozaki, K. and Matsui, M. (2006). The FOX hunting system: an alternative gain-of-function gene hunting technique. Plant J 48(6): 974-985. Ito, T., Motohashi, R., Kuromori, T., Noutoshi, Y., Seki, M., Kamiya, A., Mizukado, S., Sakurai, T. and Shinozaki, K. (2005). A resource of 5,814 dissociation transposon-tagged and sequence-indexed lines of Arabidopsis transposed from start loci on chromosome 5. 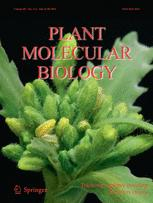 Plant Cell Physiol 46(7): 1149-1153.